World-Premiere Workshop Presentation of "afterWARds"
"afterWARds" is an opera about the emotional battles that continue to rage after “war” is long over. It's an opera about displaced refugees, and the lingering, post-traumatic effects of war. But most of all, it's an opera about love, healing, and the resilience of the human spirit. 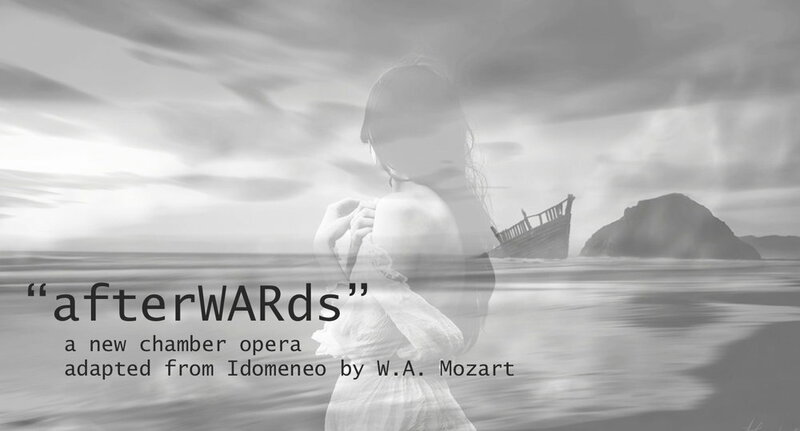 Using the words and music of Mozart's IDOMENEO – perhaps his rawest, most radical opera — in a reorganized and distilled 90-minute format, creator and director David Paul shifts the opera's focus towards its four protagonists and their timeless – and timely – struggles for love and peace in a world full of carnage and destruction.